At least the keyboard has an Escape key. “Scandinavian design” is a term Americans typically equate with the minimalism and simplicity of Ikea, a wildly popular brand of international retail stores peddling Swedish-made furniture with frequently unpronounceable names. Although the stuff is well-made, assembling it can often be an exercise in frustration. After spending time with a unique keyboard and trackpad combo manufactured in the same country, I’m now convinced Swedes are intentionally designing products for the sole purpose of making foreigners tear their hair out. Penclic Mini Keyboard K2 ($50 on Amazon) sounds like a great idea—a compact, low-profile wireless input device with soft touch keys and an ergonomic (dare I say Scandinavian?) design that slopes upward along the back. Only five millimeters thick, less than a foot wide, and just over six inches deep, the K2 looks nice and is small enough to consider portable. Scandinavian good looks, but the cheap build quality and confusing keyboard layout limit the appeal of the Penclic Mini Keyboard K2. The first sign of trouble came when inserting the included rechargeable AAA batteries. There’s no indication which way they should go, so I popped them in, then struggled to open the tiny sliver of silicone rubber covering the USB charging port. The lone LED light on the front blinked red, but it wasn’t clear if the accessory was actually charging. (It wasn’t—I had to reverse the batteries to get a blinking green light.) On the plus side, the keyboard works up to two full months of daily use a single charge. A pair of plastic feet fold down from the bottom for a more comfortable typing angle, but the overall build quality leaves a lot to be desired. The keyboard feels cheap, and is often frustrating to type on. Press too hard and keystrokes fail to register, but a lighter touch never instills confidence that you’re making contact with the mushy keys. 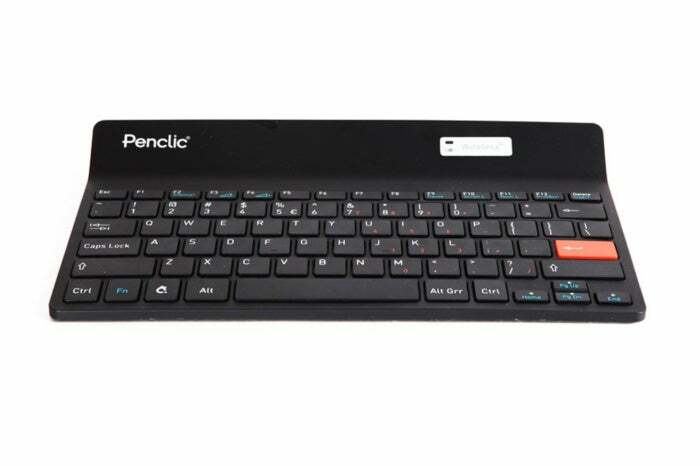 Although Penclic markets this as PC and Mac compatible, the keyboard layout is downright hostile to Apple users. (The marketing fine print cautions: “Not compatible with all MAC special functions.”) The Command key is adorned with a symbol I’ve never seen before (and which the user guide never identifies). It works, but requires some degree of mental gymnastics since it’s confusingly located between the Fn and Alt keys. 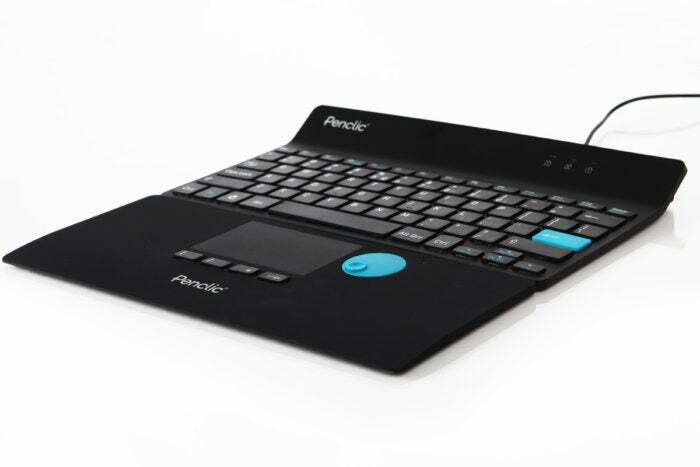 The NiceTouch T2 (€70) is a companion four-button touchpad with scroll wheel. If you use it with the Mini Keyboard K2, connecting the NiceTouch T2 to your Mac could be problematic. 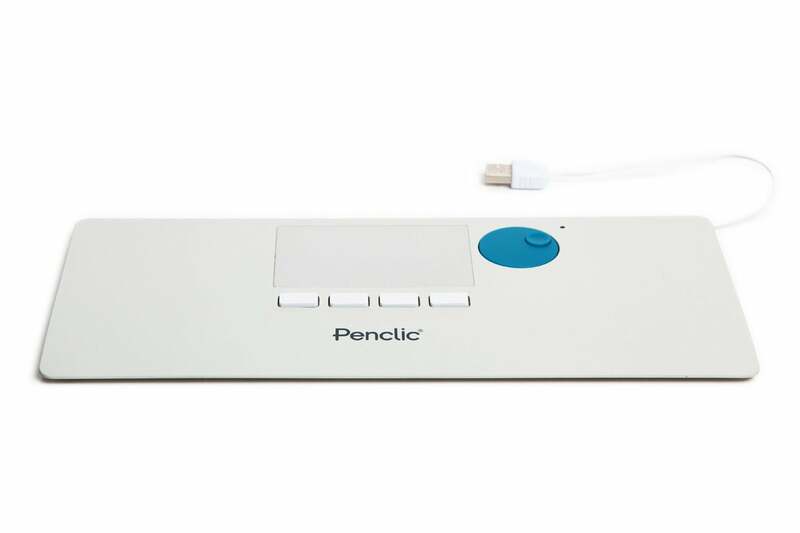 Since the USB connection on the keyboard is for charging only, the touchpad takes up yet another port on your Mac, and requires the use of an included extension cable on top of that. What do the four buttons on the NiceTouch T2 do? You’ll have to consult the manual to find out, and hope you can remember. NiceTouch T2 simply isn’t worth the effort. It’s meant to be placed at the bottom of the keyboard as an ergonomic hand rest, but winds up moving the keys another five inches further away on your desk. The scroll wheel isn’t a particularly intuitive way to navigate, and the buttons aren’t labeled, so I never was able to remember which was which. Adding insult to injury, both accessories are priced considerably higher than rival products. With a cheap build quality and frustrating layout, I can’t recommend either the Penclic Mini Keyboard K2 or the NiceTouch T2, especially for American users.